Trades guilds or incorporations were amongst the earliest self-help organisations in Scotland. But they were restricted to citizen craftsmen of burghs and they enforced a monopoly of their members' profession. A large part of the burgh community and all those living outside the burgh were excluded from the incorporations. However, one craft, that of the masons, not only had more freedom of movement than others it was positively encouraged to do so. Masons moved from one building project to another. They took care that only experienced craftsmen were employed. It is thought that they came up with a secret system to identify themselves to each other. If a temporary 'lodge' of masons were opened, some of their more obvious practices (shared by other incorporations) would become widely known. For example, lodges provided benefits by taxing each member a levy or 'box penny'. In the 16th century many groups of workers did not have the protection of a trade incorporation. But they could follow the example of the masons and form a club. Club fees could be applied to the benefit of all in times of hardship or distress. 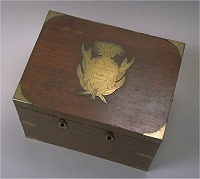 The clubs were better known as 'box' societies or fraternities. 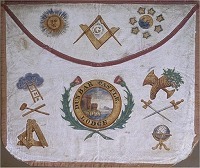 At first, fraternities were also often restricted to members of a single trade. Carters, colliers, fishermen and gardeners are good examples. They were all trades where a group of workers might for a period share a workplace, like a coalmine or an estate garden. By the 17th century some of these groups had organised on a regional basis. They took the precaution of writing down their rules and regulations. They sometimes found ways of getting a burgh to recognise them so that, if not quite an incorporation, they had a document from a burgh council that had the appearance of a charter. The real difference between fraternities and incorporations was that fraternities were never able to enforce a monopoly on their trade or trade membership. In fact, some of the earliest surviving records make a virtue out of the open or 'free' membership. The most they seem to have achieved was to charge different (usually higher) rates for the 'free' members. 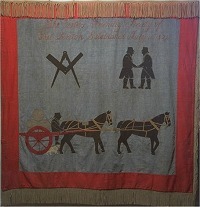 By the 19th century most fraternities had become friendly societies in all but name. Some still had special rules that restricted who could join but they were really in the business of providing social welfare to those who could pay the subscription. Sometimes, their traditions and practices even formed a model for entirely new organisations, affiliated or unity friendly societies. 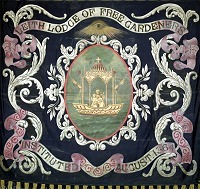 In the Lothians, this was how the Ancient Order of Free Gardeners came about.